During the Aug. 29, 2017 hearing, witnesses claimed they were summoned by on-duty City of Flint Police Officers to appear in court that morning to testify in a civil suit filed by Weaver’s attorney, Kendall Williams, that alleges there are discrepancies and missing dates on petitions. Williams had about 20 witnesses lined up for the Aug. 29 hearing. Every witness called testified that they did sign the recall petition, of the three that were asked if they dated the signature correctly one said they did not put a date on the petition. 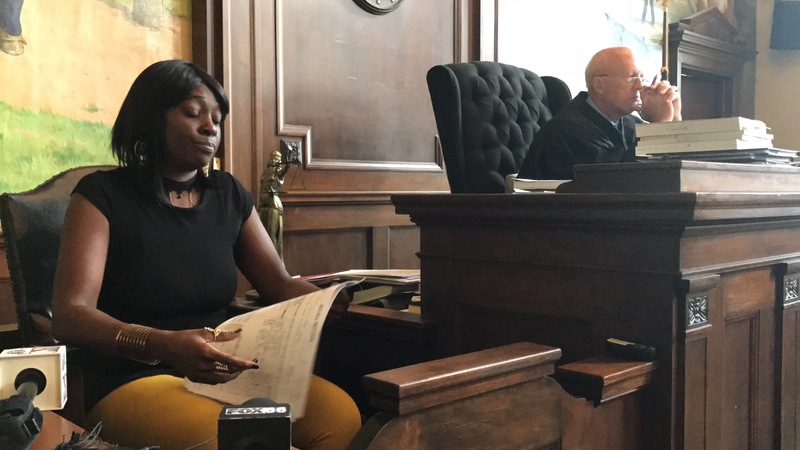 One particular exchange between circulator and witness Lakeshia Williams came into to question when she testified that Flint City Administer Sylvester Jones allegedly agreed to help her move out of her neighborhood if she stopped collecting recall petitions. “And then asked me to stop doing the petitions,” she added. Lakeshia Williams said she met with Jones on three occasions and that the Weaver was present for one of those meetings. Lakeshia Williams said she had three meetings with city officials including Jones, Weaver and a plain clothes Flint Police officer. Lakeshia Williams, who also spoke with Flint Beat earlier this month, said she was detained by the Flint Police Department on August 10, 2017, for at least two hours and questioned about signatures she obtained regarding recalling Weaver. “I have been collecting signatures for about 10 years and this is the first time I’ve ever had a problem,” she told Flint Beat. “I didn’t even collect that many signatures.” She said Flint Police officers had visited people living in her community on Flint’s south side and was told by neighbors that the police was looking for her which prompted her to head to the Flint Police Department on Aug.10, 2017 where she was questioned by Detective Tyrone Booth. Police issued a press release saying the department was investigating complaints alleging that residents were misled when signing the recall petition against Weaver. Since then, residents have said they have been visited by police officers regarding the recall effort against Weaver. Booth told Flint Beat that the department could not comment during an ongoing investigation but did not deny that Williams had been detained by Flint Police. Weaver’s attorney claimed that Lakeshia Williams allegedly filled in dates and misled signees. Questions arose from Kendall Williams over whether certain signatures can be accepted from Lakeisha Williams because of missing dates like in the case of mother and son, Evelyn Spence and Jequell Norfleet, who agreed they signed the petition, but could not recall dating their signatures. Another witness, Alisha Newsome said she remembers clearly that she did not date her signature and Tanisha Breedlove who didn’t recall what date she signed because she couldn’t remember if she signed at all, until being shown her signature on the witness stand. All the witnesses that were petition signees, agreed they signed the petition to recall Weaver and said they were all contacted by Flint Police to appear in court. Breedlove said the first time she ever learned there was an issue with her petition signature is when Flint Police arrived at her home. Kendall Williams, who after the second hearing regarding the issue on Aug. 25, 2017, said he was confident that his team would be able to show that nearly 200 signatures were invalid, couldn’t explain the police efforts in the case on Aug. 29. “I can’t speak to that your honor,” Williams said to Neithercut when asked about the police department’s involvement in calling witnesses to testify. 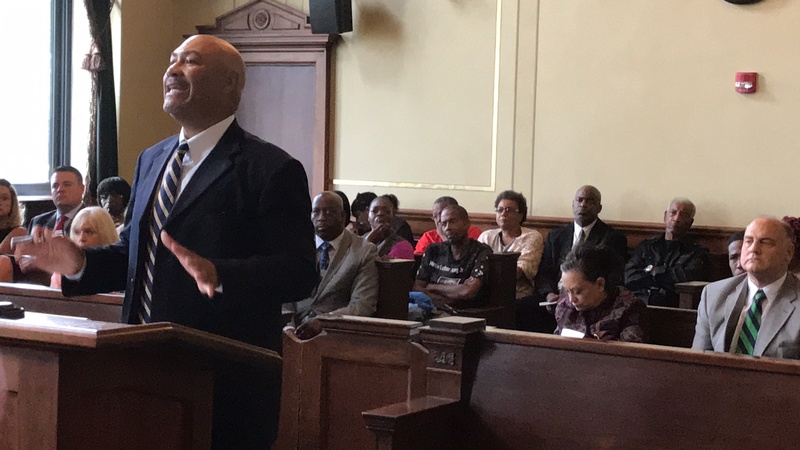 After the Aug. 25 hearing, Williams told media that the witnesses came from voluntary phone calls and he had nothing to do with the police investigation being conducted by Flint Police into the recall effort. But the Aug. 29 witness testimony left Neithercut questioning the credibility of the witness Kendall Williams had lined up for the hearing. Neithercut asked both parties to have witness summaries submitted to his court by Tuesday, September 5.